What conditions are best served by your products? What strategic shifts in thinking and business management have occurred? CASE: Foot specialists are migrating away from solo practices and into multi-disciplinary clinics and hospitals, where their freedom to dispense treatment products have been curtailed. They now rely on sending patients out of their offices to purchase them, instead of providing them themselves. This presents a meaningful opportunity for health care product retailers. Amazon.com keeps downward price pressure on retailers, including DME. We are enforcing MAP with more resources. 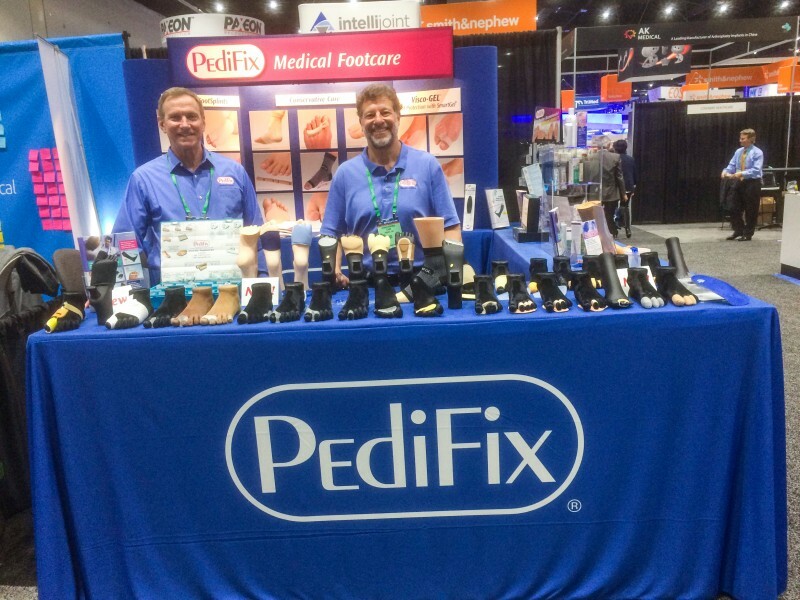 Why should footcare products be attractive to HME providers? CASE: The need for foot care and comfort products is increasing with the aging population and as the trend towards self-treatment expands. Footcare provides a unique opportunity for HME retailers offering a more sophisticated range that is not replicated in other retail channels. The footcare category is dominated by the Dr. Scholl’s brand that is focused on big box chain distribution, where their products are sold at lower prices than DME and independent pharmacies can match. Their line only offers solutions for the most common foot complaints, ignoring the sufferings of millions with other conditions. JANISSE: For our diabetic inserts and shoes, the pressure comes from Medicare as they regulate the products and set the providers qualifications and reimbursement. [The demand for value-based medical products/devices] is great; it rewards performance. It will highlight the products and providers that are impacting patient lives in a positive manner. This takes away a lot of the risk for the patients going forward, while rewarding great providers. JANISSE: It is really two tracks. Medicare reimbursed shoes and inserts for patients with diabetes and/or cash revenue for non-reimbursable shoes and inserts. This can also fall into two categories being custom or prefabricated products. As the insurance market changes providers are seeing higher deductibles and less coverage for medical devices. It has altered some of the market from being heavily reimbursable to a more cash-style business. What are the key considerations patients/caregivers should know about footcare products? JANISSE: Being sure they have a good understanding of the products they are providing to their patients and their patient’s condition—how to use them, how to fit them, when to use them and when not to use them. Kristin Easterling is the Managing Editor of HomeCare Magazine.